A Kenyan opposition Member of Parliament appeared in Court on Tuesday for allegedly calling President Uhuru Kenyatta a “son of a dog’’. Paul Ongiu, popularly known as Baba Owino, is an MP in the opposition party of Raila Odinga, who faces Kenyatta in an election re-run in October after August’s poll results were thrown out over irregularities. In a speech to supporters on Sunday, Owino appeared to liken Kenyatta to several African dictators who were toppled due to mass protests. “Who are you if the people of Libya removed Muammar Gaddafi? Who are you if the people of Cote d’Ivoire removed Laurent Gbagbo? Who are you when the people of The Gambia removed Yahya Jammeh you are the son of a dog,’’ Owino said, without specifically naming Kenyatta. “I can tell you, there will be no election until all the (electoral commission) staff implicated in the August election theft is removed,’’ he added, vowing that the people would hold mass demonstrations. 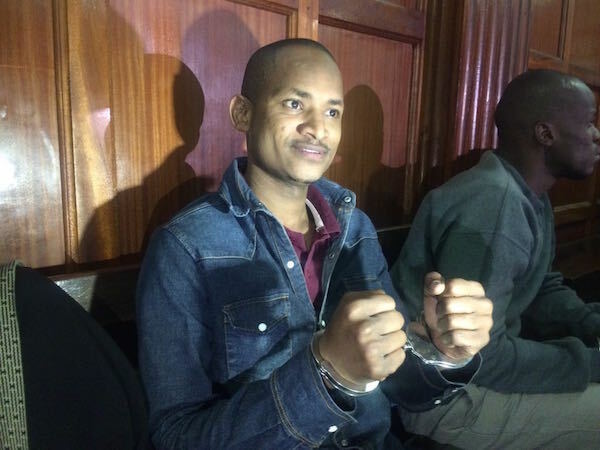 Owino was arrested on Monday, and his charge sheet on Tuesday accused him of “subversion’’ for uttering words “calculated to excite disaffection against the president’’. Kenya’s Supreme Court nullified the result of the August 8 presidential vote after Odinga lodged a complaint. Odinga claimed the computers of the Independent Elections and Boundaries Commission (IEBC) were hacked to generate a victory for Kenyatta. My advice goes to any one out there who is emotionally depressed or having any similar relationship problem, to contact Dr. Ugo wonders the ultimate spell caster via his direct email generalspelltemple@gmail.com or call his temple line on +1 386-336-9876 he is the best in Florida….